My only beef with your standard cornbread is how dry it usually is. The absolute worst is when it crumbles in your mouth like you just sank your teeth into a bag of sand. Mmmm no thanks. I’d rather eat an old shoe. This is where, once again, Cook’s Illustrated comes in to save the day. 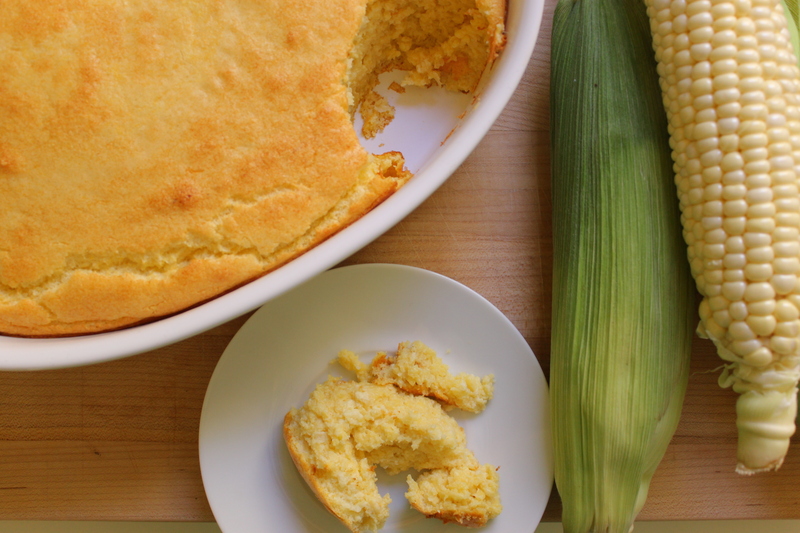 Their spoonbread avoids the common complaints with other recipes– too dry, too eggy, too dense– and produces a light, soft, souffle-esque treat that had an intense corn flavor with the slight grit of cornmeal (aka, not sandy & horrific, but pleasant & delightful). 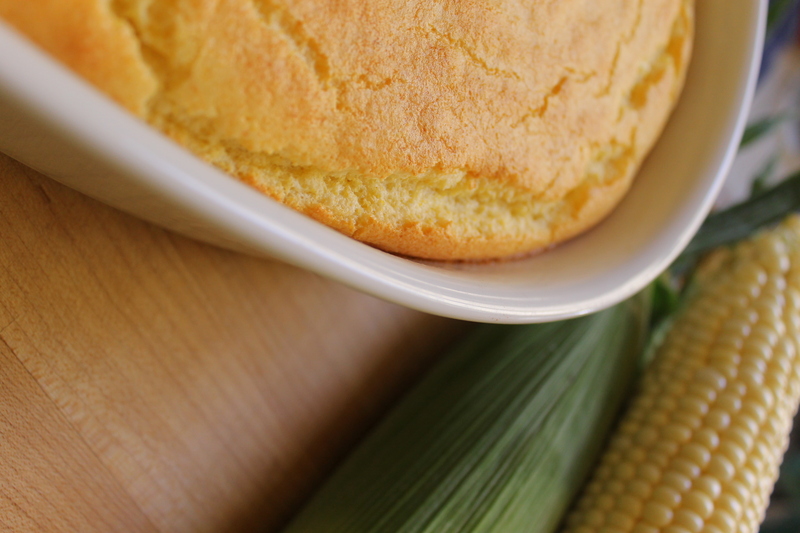 It is the perfect combination of traditional cornbread & what I can only assume a cloud feels like on your tongue: soft & fluffy. Spoonbread is the South’s equivalent to Middle Eastern pita, the resourceful chef’s everything-but-the-kitchen-sink quiche that helps rid the fridge of odds & ends, & England’s Yorkshire Pudding. Try it doused in honey butter, combined with cheddar & scallions, alongside a hearty stew, or just by itself: it really can do quite a lot, depending on how crafty you’re feeling. Grease a 1½ qt souffle dish or 8" square baking pan. 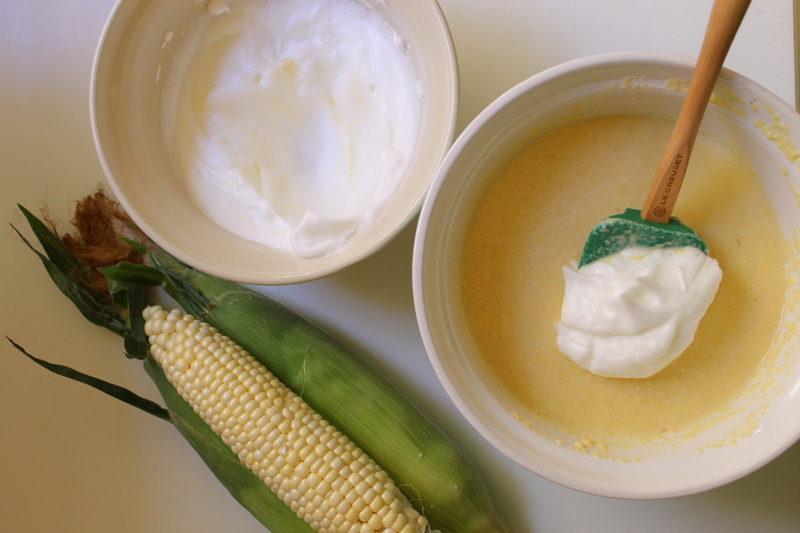 Combine cornmeal & ¾ c milk in a small bowl & whisk together. Set aside. 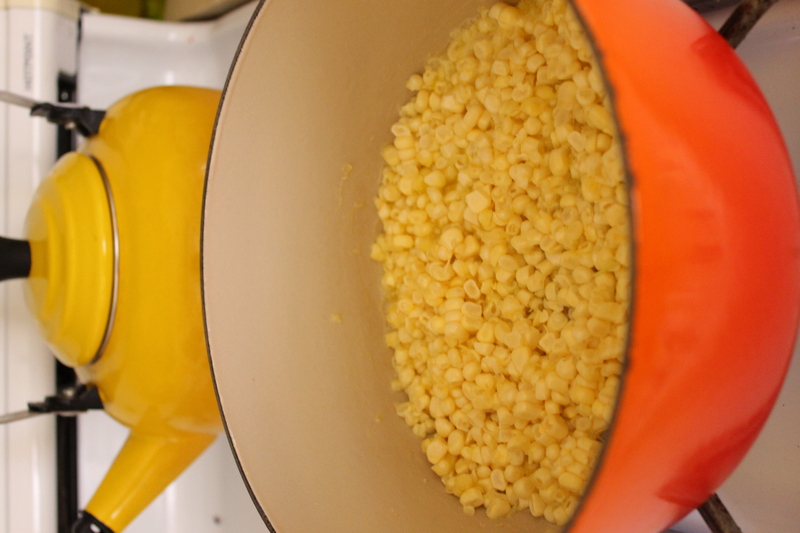 Over medium high heat in a medium Dutch oven, melt the butter & add the corn kernels. Cook until lightly browned, about 3-5 minutes. Stir in the remaining milk, sugar, salt, & cayenne & bring to a boil. Turn off the heat, cover, & set aside for 15 minutes to steep. Puree the mixture in a blender or with a stick blender & return to medium high heat. 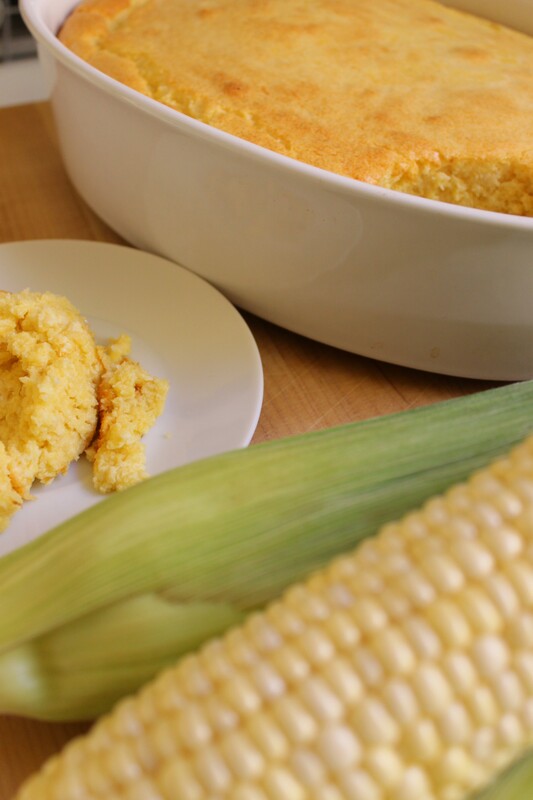 Bring to a boil & add the cornmeal-milk mixture, whisking constantly to prevent lumps from forming. Cook until thickened, about 3 minutes. Transfer hot mixture to a large bowl &, stirring occasionally, let sit for about 20 minutes, or until it reaches room temperature. Beat the egg whites & cream of tartar with an electric mixer, starting on medium low & gradually increasing the speed to medium high. 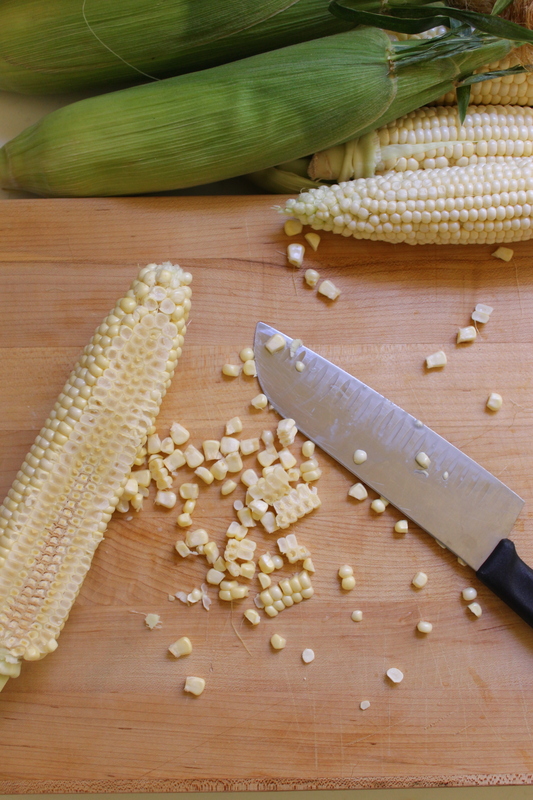 When stiff peaks form, add ⅓ of the whites to the cornmeal batter & fold in gently. Once incorporated, fold in the rest of the egg whites. Pour batter into the prepared pan, reduce oven temp to 350, & place the pan on the middle rack. Cook for 45 minutes, or until the top is brown & cracking. Serve warm. Cream butter on high in an electric mixture until soft & fluffy, about 2 minutes. Add the rest of the ingredients & beat until incorporated. Move to a smaller bowl & chill in the fridge. Try not to eat it all in one sitting.